The Honor Days sale continues in full swing on its third day with discounts on popular smartphones such as Honor 9 Lite and Honor 9N. The sale is being hosted on both Flipkart and HiHonor.com and ends tomorrow, on September 21. Apart from Honor 9 Lite and Honor 9N, the sale offers deals on the Honor 9i and Honor 10 smartphones. Top deals in the sale include flat discounts on up to Rs. 5,000, additional exchange discounts, etc. Flipkart customers will get 5 percent discount on transactions made using HDFC Bank credit card EMI transactions. Shoppers in the sale will get 120GB complimentary data from Vodafone as well as SuperCash cashback from MobiKwik up to Rs. 2,000. In the ongoing Honor Days sale, the Honor 9N smartphone is available at Rs. 11,999 and Rs. 13,999 for the 3GB RAM + 32GB storage and 4GB RAM + 64GB storage options, respectively — the original prices. But buyers get an additional Rs. 1,000 discount on exchanging an old smartphone. The Honor 9N also comes in two new colours — Robin Egg Blue and Lavender Purple — for the 4GB RAM and 64GB storage variants. As for the key specifications, the dual-SIM smartphone has a 5.84-inch display with 19:9 aspect ratio and full-HD+ resolution, and Android 8.0 Oreo-based EMUI 8.0 skin on top. It is powered by the octa-core HiSilicon Kirin 659 SoC and comes in 32GB, 64GB, and 128GB storage options. There’s a 13-megapixel + 2-megapixel camera setup on the back, and a 16-megapixel selfie camera. Other key features include a 3,000mAh battery, Face Unlock, and 3D Face Detection. Now moving to Honor 9 Lite 4GB RAM and 64GB storage option, it is also available at its original price of Rs. 10,999 but comes with additional exchange discount of Rs. 3,000. Its key features include a 5.65-inch full-HD+ display, octa-core HiSilicon Kirin 659 SoC, and Android 8.0 Oreo-based EMIUI 8.0 custom UI. Its key feature is the dual camera setup on both the rear and the front, both with a 13-megapixel + 2-megapixel sensors. The Honor 9 Lite is powered by a 3000mAh battery. The Honor 9i, which also has two dual camera setups, now comes with a discount on Rs. 3,000. Therefore, the Honor 9i price in India comes down from Rs. 17,999 to Rs. 14,999. As for specifications, it sports a 5.9-inch full-HD display with resolution of 1080×2160 pixels, a 2.36GHz octa-core Kirin 659 processor, 4GB RAM, and 64GB internal storage. The smartphone features a 13-megapixel + 2-megapixel setup on the front and a 16-megapixel + 2-megapixel setup on the back. The handset is backed by a 3,340mAh battery. 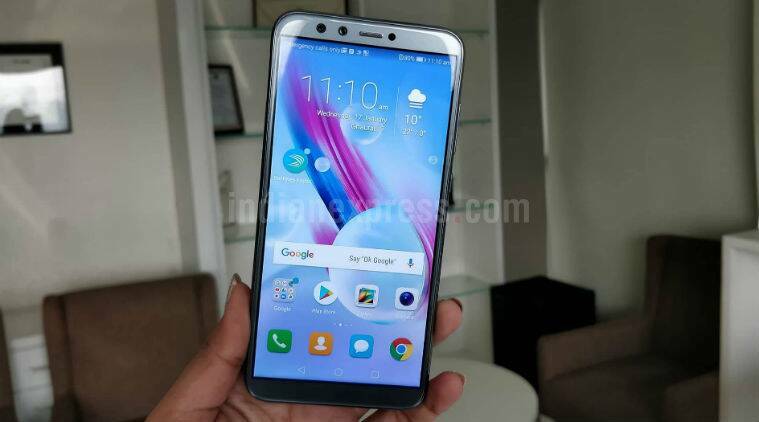 Honor 10 6GB RAM + 128GB storage variant has received a price cut of Rs. 5,000 in the Honor Days sale and is available for a price of Rs. 27,999 till tomorrow. The Honor 10 runs EMUI 8.1 based on Android 8.1 Oreo and features a 5.84-inch full-HD+ (1080×2280) FullView display with a 19:9 aspect ratio. It is powered by the octa-core HiSilicon Kirin 970 SoC (four Cortex-A73 cores clocked at 2.36GHz and four Cortex-A53 cores clocked at 1.8GHz) coupled with 6GB of RAM. As for optics, the handset sports a 24-megapixel + 16-megapixel setup on the back, and a 24-megapixel camera with 3D Portrait Lighting mode in the front. Its battery capacity is 3,400mAh battery.